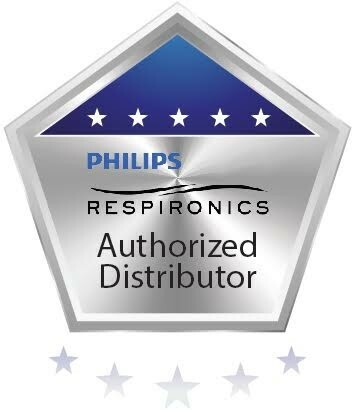 The Respironics EverFloQ features sleek compact styling and lightweight. At just 31 pounds it easily glides from room to room on four reinforced casters. It is one of the easiest concentrators to operate with a simple on off switch at the top and flow control knob located in the center. The gauge and regulator are recessed to prevent damage when moving. 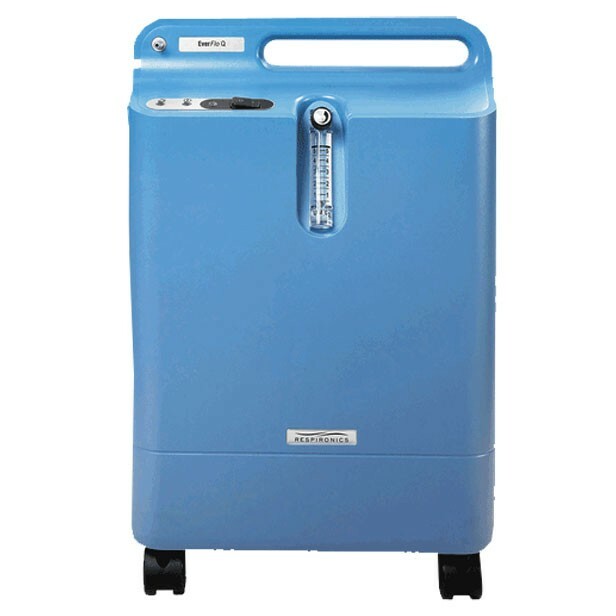 The EverFlo Q provides convenient oxygen therapy without the need for cumbersome tanks or expensive refill services. It is just 31 pounds making it one of the lightest home concentrators available. This stationary unit is surprisingly mobile, rolling effortlessly on four casters. It can also be used with extended size tubing for added convenience and mobility. The Respironics EverFlo Q features an easy adjust oxygen dial that can be fine-tuned within 0.5 Liters per Minute. 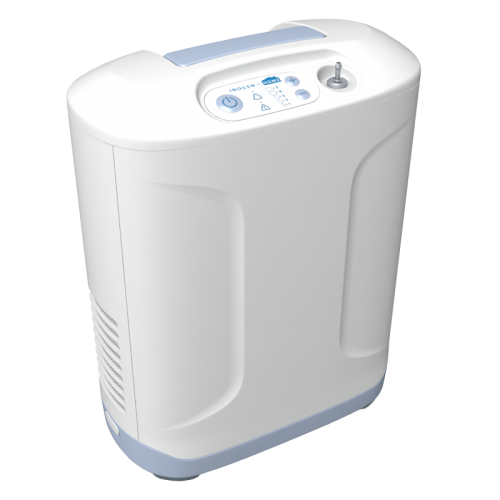 An optional humidifier bottle attachment is conveniently located at the back of the unit so as not to interfere with the adjustment dial. 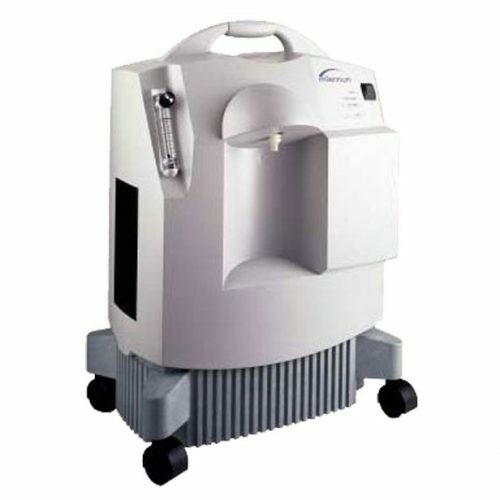 Adding humidity to oxygen dosing makes it much more comfortable especially in drier environments. It also reduces nose bleeds and sinus membrane damage. 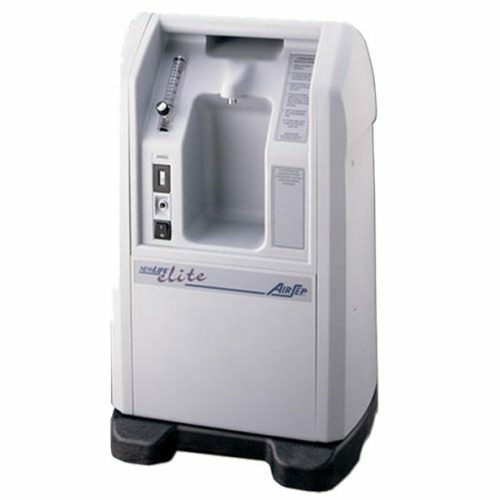 The gross particle filter should be cleaned often, especially for those with pets. The filter on the EverFlo Q is easily accessible and can be removed behind an easy slide out panel. 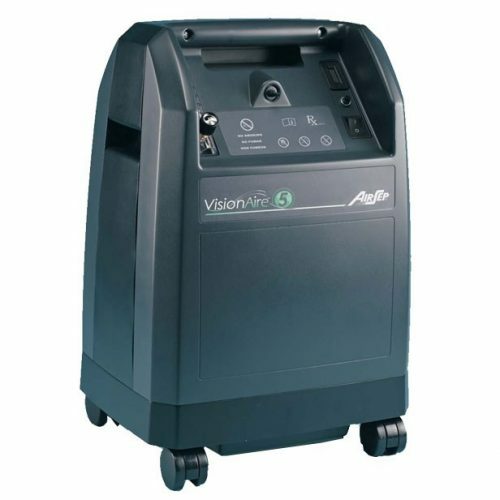 The unit’s HEPA filter is also conveniently located and easy to remove. 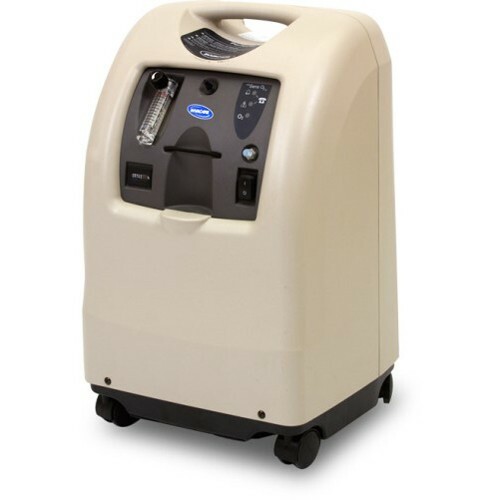 User friendly features and reliability make this one of the best choices for home oxygen therapy.